Morocco is a country with endless possibilities. Different landscapes, the mountains of the High Atlas, the dunes of the Sahara, the Atlantic coast and the architectonic richness of the Medina. There are plenty of places to stay in all kind of levels from very simple and cheap to very luxurious. 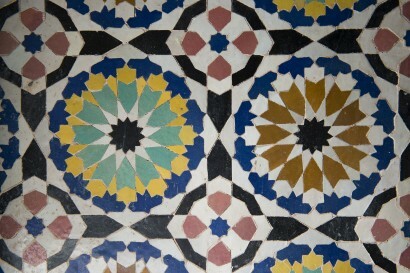 The hospitality and character of the Moroccan nation offers a wide range of possibilities for a pleasant stay. 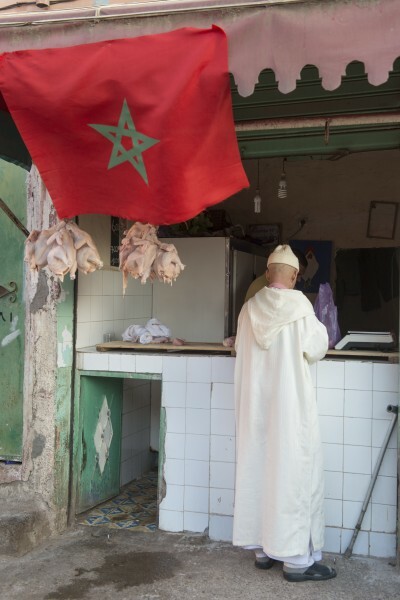 Despite the growing popularity of this beautiful country, Morocco has kept its authenticity. 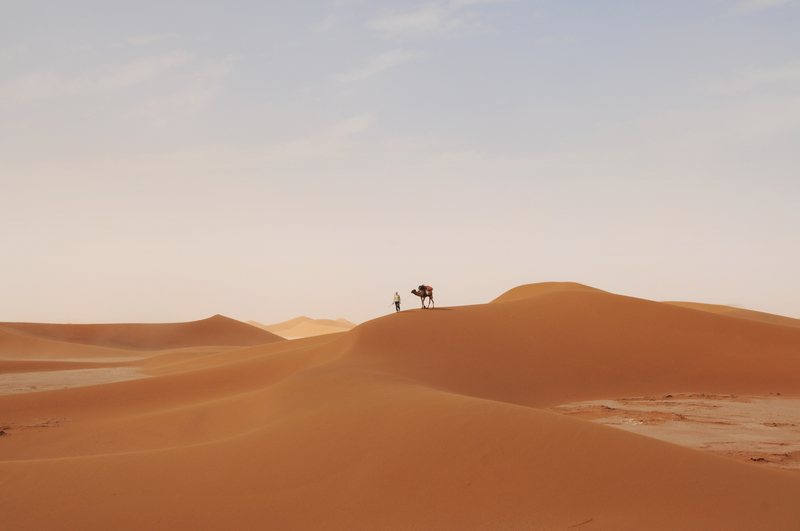 The present King Mohammed VI has developed the tourism industry in the last year by modernizing the country’s infrastructure and has made Morocco a wonderful place to visit. Beautiful hotels, riads and pensions are spread all over the country. 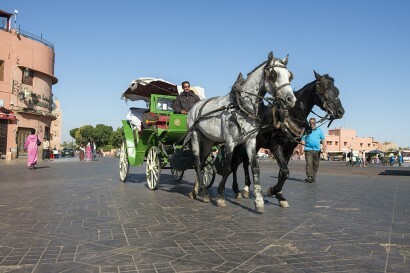 Morocco is a safe country to travel as well, there isn’t a lot of violence and seldom involving tourists. This fact makes it a safe and pleasant country to travel and you will be astonished to discover all of its possibilities. 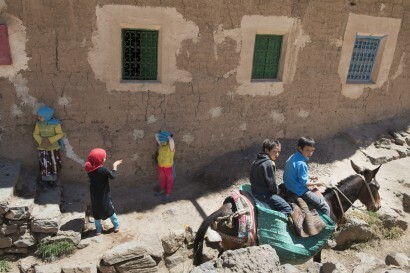 Morocco is very hospitable, with a lot of contrasts. Enjoy the country with us, start packing your luggage! The first inhabitants of Morocco are the Berbers who lived south of the Atlas mountains. After 2000 BC, because of climate changes they traveled to the north and resided in present day Morocco. In the 6th century BC, the Fencers came to live along the coast and after them, the Carthaginians and the Romans followed. The Romans were in charge of the coastal areas and the valleys. Easy to defend and bearing economical importance. In the second century AC, Christianity was introduced. Inhabitants all over the country were proselytized. When the Arabs concurred in the seventh century Morocco, the Berber people and other nations became Islamic. Afterwards the region Barghawata became under the control of the Abbasid Kalifaat in Baghdad, under Idris Ibn Abdallah, who established the Idrisid Dynasty. 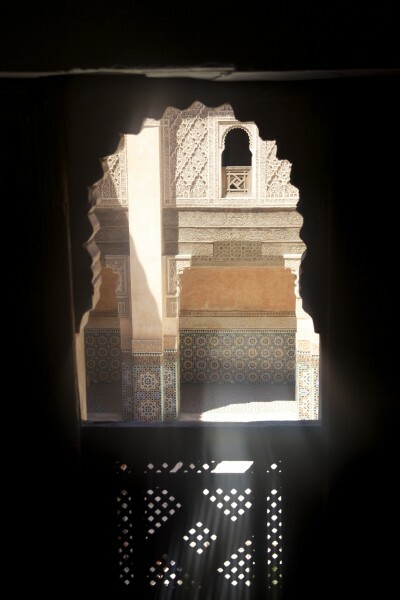 Morocco became a center of religious education. During the eleventh and twelfth century the Berber dynasty became more powerful and they took place of the Arabic Idrisid Dynasty. From 1511 until 1659 the Saadi Dynasty ruled, and up to the seventh century the dynasty of the Alaouiets. After this period the country had a short period of instability due to conflicts between different tribes. Ahmed I al Mansurm was able to bring stability back to the country which lead to better lives for the inhabitants. Between 1579 and 1603 the Jewish and Mores from Spain established themselves in Morocco. All these influences brought new rich cultures which can still be observed nowadays. In the early twentieth the European countries wanted more power in Morocco, especially France, which wanted to have more influence in northern Africa. In 1904 the Germans reacted angrily to the power of France. Spain and France had the protectorate over north and south Morocco. A war was warded off by Germany giving some concessions. The Sahara is still a controversial region between Morocco, Spain and Mauritania. King Mohammed IV is known for his modern ideas and his enormous effort to bring Morocco to high standards. Population: 33 millions inhabitants. Capital: Rabat (1 750 000 inhabitants). Cities: Casablanca (3 600 000 inhabitants), Fès (1 000 000 inhabitants), Marrakesh (1 300 000 inhabitants), Tanger (750 000 inhabitants). Surface: 710 850 km2, 1,4 times France. Grade of urbanization: 55,1%. Politic system: Democratic Monarchy. King: Mohamed VI (since July 1999). Languages: Arab classic and Amazigh (Berber), the two different official languages. Spoken languages are Arab dialect, Moroccan (darija) and Berber dialect (rifain, chleuh et tamazighte). French is spoken in a lot of places as well as Spanish in the north. Money: Durham Moroccan. 1 € is about 11 Durhams. Import and export of Durhams is forbidden. Time: don’t forget to change your watch according to the season it is one or two hours difference between Europe. Electricity: adapters aren’t necessary. Marketplace: some basic principals : you have to negotiate about prices, it is more of a game and everybody expects you to play. Don’t go over your price. Life expectancy: 76,11 years. Illiteracy rate: about 30 % . UNESCO heritage sites: Medina of Fès (1981), Medina of Marrakesh (1985), Ksar d’Ait Benhadou (1987), Historic city of Meekness (1996), Medina of Tétouan (1997), Archeological site of Volubilis (1997), Medina Essaouira (old Mogador) (2001), City Portuguese of Mazagan (El Jadida) (2004), Historic center and new city of Rabat (2012). 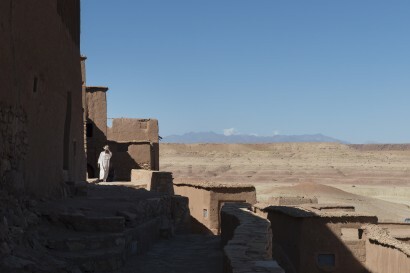 Morocco has been a meeting point for many cultures for a long time. Influences of Europe as well as the Maghreb (north west Africa) are apparent. 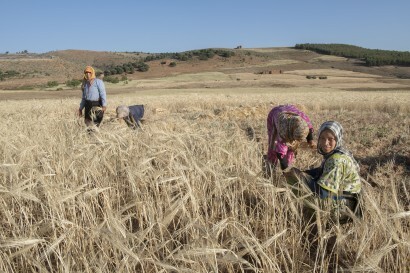 The country has a history of mixes of Berber, Romans, Fenic Almovids, Portuguese, Spanish, French and so on. All these different cultures contribute to the identity of Morocco. Traditional souks (markets), Portuguese buildings, designed by well known architects and a lot more, offer an incredible variety of possibilities to visit. You will never tire of this country. The Moroccan culture is a strong culture. Every day men gather at the terraces of a pub, while the women gossip on the street in front of their houses, in the shops, or in the Ham-mam (bathhouse). Seldom will you take a walk without receiving invitations to come inside and drink some tea. You can expect stories of culture, habits and traditions. The hospitality of the people of Morocco is one of the most important trumps of the country. Be part of it, you are very welcome! The Moroccan kitchen is known worldwide for its variety and special taste, namely salt, sweet and with a large variety of herbs. The day begins with a delicious breakfast of special wheat pastry (harass) and pancakes (msemmens en beghrirs), served with dates and orange marmalade. 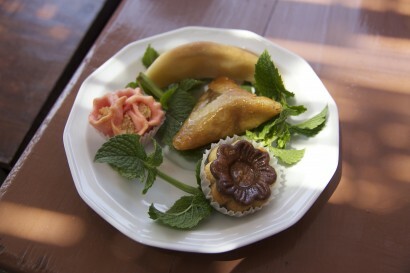 At lunchtime you can choose a stove of meat and prunes, lemon chicken, or almond pastries. In the evening you can have nice harira soup (lentils and tomatoes) or hssoua (different kinds of grain). You can eat couscous and a lot of different salads. Of course there is also a variety of vegetarian dishes. Ask the cook and he will surprise you. Bon appetite !! The Moroccan flag is red featuring a the green five edged star in the middle. The red color symbolizes the Alaouite-dynasty. Before the red flag there was a white one, which symbolized the Merinids and Saadi dynasty. The star was added in 1905 when Morocco became a French protectorate, to distinguish it from other red flags. The star symbolizes the seal of Salomon which is a sign of life, health and wisdom. It hasn’t been changed since the independence of Morocco. The green star is now a sign of the five pillars of the Islam. We have a lot of treks and possibilities for you in our program. Where you start or how long you travel is adjusted according to your budget and your personal wishes. Quality goes above quantity, especially when you are visiting our country for a short abount of time. If you like nature and sport you’ll love our long walking tours. However, it can of course be pleasant to hang around more. Visit the desert, Atlantic coast or the Atlas mountains. It isn’t possible to see everything, with our help you can plan the perfect journey. What to do, how many days……let us help you! Our knowledge can answer all your questions .